Everyone is welcome!The Gyrotonic and Gyrokinesis methods are both highly adaptable, making them accessible to everyone, regardless of age or physical ability. Gyrotonic and Gyrokinesis students live in many parts of the world, and come from all walks of life. Accomplished athletes and dancers, college students, baby boomers, senior citizens, and people with disabilities–many have become devoted practicioners of Gyrotonic and Gyrokinesis exercise. 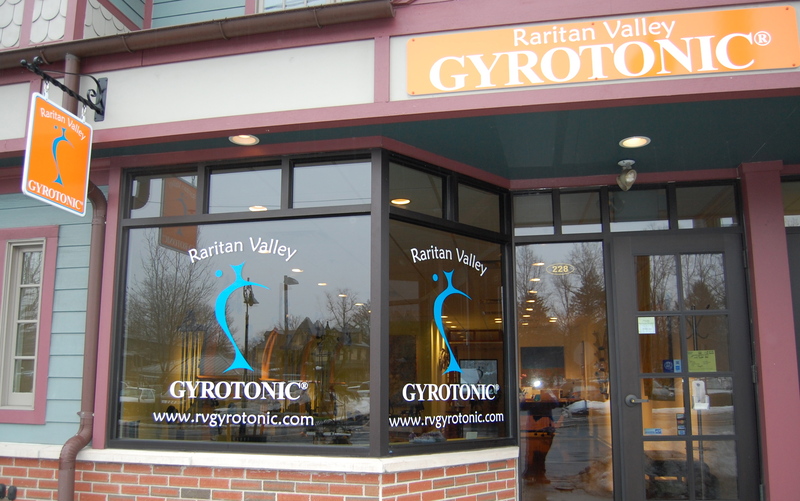 Raritan Valley Gyrotonic located at 228 south ave Fanwood Nj. The first and only studio in New Jersey that is solely dedicated to Gyrotonic and Gyrokinesis exercise methods. Offering Group Gyrotonic pulley tower, Gyrokinesis classes, Private sessions and Gyrotonic and Gyrokinesis teacher trainings. For weekly Group classes check our online scheduler. Leg extension unite and the Gyrotoner. Here at Raritan Valley Gyrotonic we believe that having a Gyrotonic studio dedicated solely to the Gyrotonic method is the way to go, to specialize in this one method and to Offer the very best to the community. Our mission is to be an authentic representative of Gyrotonic in our community while establishing a reputation as a high-quality Gyrotonic and Gyrokinesis facility. We offer Gyrotonic and Gyrokinesis sessions taught based on the authentic curriculum in an environment that is beautiful and inspiring! With Guest teachers Erika Hassan & Dima Fedorov GYROTONIC® and GYROKINESIS® Master Trainers. Our mission is being an authentic representative of Gyrotonic in our community and establishing a reputation as an authentic and high-end quality Gyrotonic and Gyrokinesis facility. in an environment that is beautiful and inspiring! 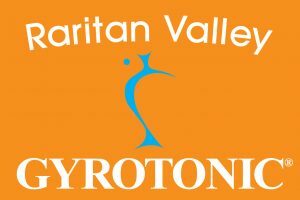 Raritan Valley Gyrotonic, formally known as Mind Body Spirit, opened in 2011. This unique studio provides a spacious environment that is inviting and inspiring with state of the art Gyrotonic Equipment. We are fully equipped with all Gyrotonic equipment with four Cobra Elite Pulley Towers and all specialized Gyrotonic equipment: Archway, Jumping Stretch-Board, Leg Extension Unit and the GYROTONER®. April we are offering three Gyrotonic private sessions for $195 that is $65 a session. This is a great month to begin to explore and awaken your body mind and spirit. Move into the Spring with a positive action. Spring into action with our April fools day deal! 3 private 60 min GYROTONIC® session $195. The time is now to take action and move into this season with a renewed commitment. Going beyond the regular routine and invigorating your whole body mind and spirit. New to the GYROTONIC EXPANSION SYSTEM® this is the perfect way to begin the journey. April Deal 3 private sessions on sale now till midnight April 1. purchase your package online. 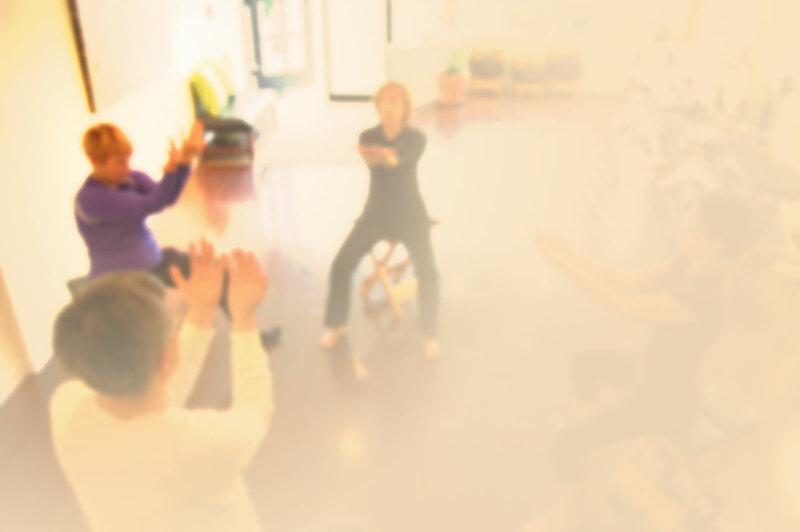 Raritan valley Gyrotonic offering both Private and Group sessions. Newbie? No Problem! Consider This Your Gyrotonics 101. Comprised of both the GYROTONIC® and GYROKINESIS® exercise methods, the GYROTONIC EXPANSION SYSTEM® (sometimes just referred to as Gyrotonics) is earning a favorable spot as one of the most effective workout routines the world over. The equipment required is specialized to offer resistance to movement while giving support for the body and many people find this effective workout method to be a cost effective option (instead of a traditional gym membership) and a good fit for a generally healthy lifestyle. As far as Gyrotonics from NYC to New Jersey are concerned, Raritan Valley Gyrotonic provides a state-of-the-art facility with exceptional trainers who teach classes for multiple experience levels along with introductory pre-training courses. And, as the Gyrotronic method is progressive in nature, personal training is available for those who feel they need more focused instruction or a specialized increase in intensity. Although it started out being referred to as “Yoga for dancers,” Gyrotonics has proven an excellent source for mobility, flexibility and strength building for many different athletic groups as well as for those simply looking to introduce a fun new fitness routine into their lives. Its applicability for sports players, gymnasts, and physical training continue to grow, and that is very likely due to the four primary principles behind Gyrotonic exercises: intention, stabilization through contrast, decompression of the joints, and coordination of movement and breath. The idea that individuals will achieve goals by using their bodies in a way that specifically works towards those goals is where the Intention principle comes from. This gives focus and meaning to each action taught and practiced, and helps give thoughtfulness to all the exercises in the program. The principle of stabilization through contrast has to do with eliminating the need for holding on to a steady object to keep oneself standing during activities. It also involves using the body’s natural expansion and retraction movements. The motions are intended to be fluid in nature and give those who practice Gyrotonics an enhanced bodily stability. The decompression of the joints principle is the primary part of Gyrotonics as it adds a significant amount of flexibility to the lives of those who practice the method. The decompression occurs through the aforementioned expansion and retraction movements paired with various curvilinear (rounded) motions. The final principle — coordination of movement and breath — is about control and places value behind breathing patterns that should be applied to each and every Gyrotonic movement. This helps individuals better expand, contract and flex their bodies while in a state of motion. If you’re looking for a true body evolution and you’re in or around the NYC area, your search should begin with Raritan Valley Gyrotonic. The staff is ready to accommodate you and help you progress further into your future of healthier living no matter where you might currently be fitness-wise. With private sessions and group classes available on various schedules, there’s a chance for everyone to get their bodies moving, feeling and looking better than ever before. If you’d like to really see what Gyrotonics is all about, check out the video below or give RV Gyrotonics a call. https://www.rvgyrotonic.com/wp-content/uploads/2017/07/633441.RVG_.Reduced-300x200.jpg 0 0 Shirley Wallitsch https://www.rvgyrotonic.com/wp-content/uploads/2017/07/633441.RVG_.Reduced-300x200.jpg Shirley Wallitsch2015-03-26 22:21:542017-07-10 13:20:07Newbie? No Problem! Consider This Your Gyrotonics 101. If you are new to the Gyrotonic method,or have a desire to deepen your practice. Include some private Gyrotonic sessions, not only do private sessions focus on your individual goals but gives you the opportunity to explore all of the specialized Gyrotonic equipment. The Pulley Tower unite is the primary piece of equipment used to learn the Gyrotonic principles, along with GYROKINESIS® exercises. Archway – Strengthen the entire body using gravity, Improve connections between entire abdominal cavity and the rest of the body. The leg Extension Unit- knee rehabilitation, increase coordination between lower body and upper body, strengthen ankle joints. The GYROTONER- Increase thoracic spine mobility, 360-degree articulation of all upper body joints, open and strengthen hip joints. The Jumping-Stretching Board- Improve jumping ability using ergonomically superior design, Stretch and strengthen the lower body, Improve strength and balance in multiple standing positions. The combination of group Gyrotonic Pulley tower and Gyrokinesis classes mixed with private sessions and your individual practice is ideal. Not only can this combination create real changes in the entire body, but it is really fun to experience the full spectrum of this method and discover in it yourself and to go beyond what ever limitations you may have and experience an openness that renews our mind, body and spirit! Move into the spring with a Weekend group GYROTONIC® and GYROKINESIS® class. Or Book a Private session and explore the Gyrotonic specialized equipment, the archway, Jumping stretch Board, Leg extension Unit and Gyrotoner. Saturday 10am Gyrokinesis group class, Sunday 10am Gyrotonic pulley tower class. You can book your session online, on our online scheduler. www.rvgyrotonic.com or call 908 288-7551 to schedule your session. Looking Forward to seeing you in the studio soon. Gyrotonic Expansion System creator, Juliu Horvath, an ethnic Hungarian born in Timisoara, Romania in 1942, developed the Gyrotonic Expansion System after his personal struggle with chronic pain and injury. Horvath was a swimmer and gymnast before becoming a ballet dancer with the Romanian State Opera (currently known as the Timisoara Romanian National Opera) in his early 20’s. He defected from Romania in 1970 while touring with the Romanian State Opera in Italy. After spending 6 months in a refugee camp in Italy, Horvath was granted asylum in the United States, subsequently dancing professionally with the New York City Opera and the Houston Ballet. Horvath tore his Achilles tendon, and herniated a vertebral disc while dancing with the Houston Ballet, injuries that ended his dance career. After these injuries, he moved back to New York City for a short time, where he began a regular yoga practice. Horvath moved to the island of St. Thomas in the Virgin Islands in 1977. There he built a small, one-room hut in the mountains and, in an effort to rehabilitate his injuries, devoted the next six years to intensive yoga and meditation practices. During this period of intense self-study, Horvath began to develop what was once called “Yoga for Dancers” and has since evolved into the Gyrokinesis Method. When Horvath left St. Thomas, he returned to New York City where he began to teach Yoga for Dancers at Steps on Broadway. He established the first Gyrotonic studio-White Cloud Studio, in 1984.In the beginning, most of Horvath’s students were professional dancers. As demand for his classes grew, and the diversity of his clientele increased, he refined Yoga for Dancers, creating a class format that almost any person could perform, regardless of age or state of health. He named this refined version of Yoga for Dancers, the Gyrokinesis Method. At White Cloud Studio, Horvath continued to develop and refine the method he created in St. Thomas. It was here where he began to develop the Gyrotonic Method, and made the first pieces of Gyrotonic equipment. As of 2013, Horvath continues to create new programming for the Gyrotonic and Gyrokinesis Methods. He also conducts teacher training courses internationally, continues to develop new Gyrotonic equipment, and continues to refine existing equipment designs. In 2013, the Gyrotonic Expansion System encompassed over 2500 Gyrotonic studios, with 7800 Gyrotonic, and Gyrokinesis Trainers practicing in 52 countries. The body is designed to work as one harmonious system,to follow arching and spiraling paths of motion, and to transition from one movement to the next smoothly, and efficiently. Gyrotonic method creator, Juliu Horvath , designed a specialized line of equipment around these natural movement patterns of the human body.